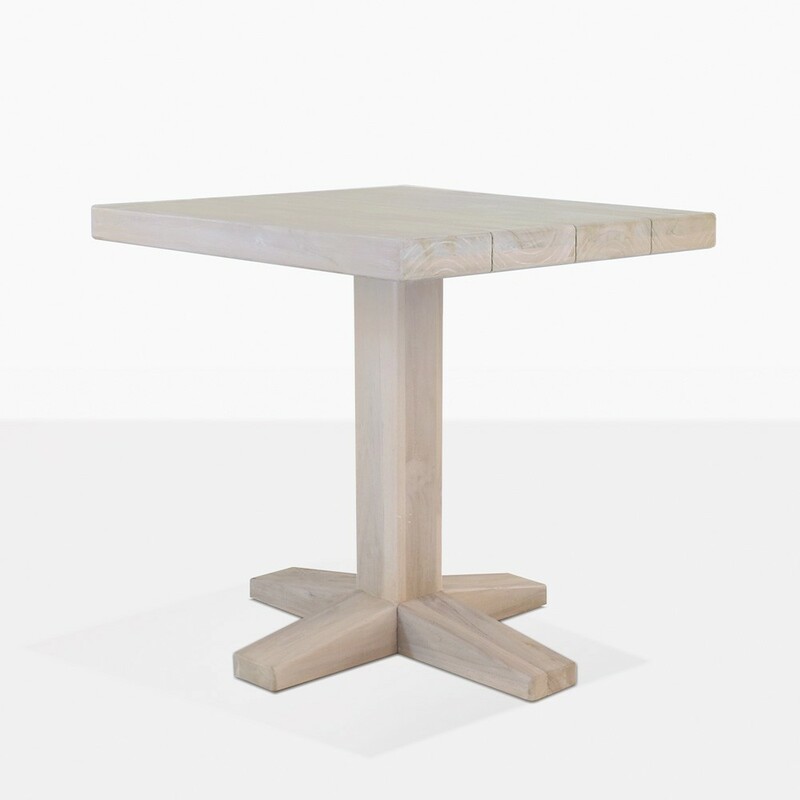 Get ready for ultimate style with the incredible, robust Sherman Teak Bistro Dining Table. A unique cafe style piece, the Sherman Bistro Table showcases heavy duty wood while managing to be a nod to the French countryside furniture of old and still seeming completely contemporary. 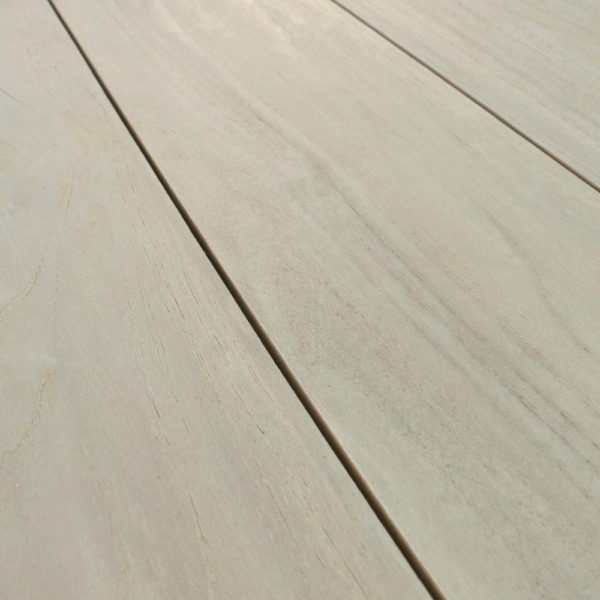 This makes Sherman the perfect piece for both urban and more natural areas. 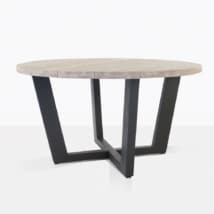 The Sherman Bistro Dining Table presents thick planks, making a solid and satisfyingly attractive table top while the pedestal leg is shaped in a way that is elegant and yet strong. It also allows for plenty of leg room. Imagine your garden, lush with greenery, and just a small space for a table for two. Enter the Sherman Bistro Table with its hard wearing wood and elegant style, place a couple of gorgeous wicker or teak dining chairs on either side and get ready to enjoy beautiful breakfasts with a loved one, or afternoon drinks in the sun with a friend. 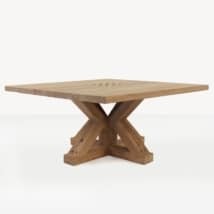 Our Sherman design is also available in a full length Dining Table, so that you may cater to your space as you need. Perhaps you have two areas that need dining spaces? Create cohesion with the smaller Bistro Table in the spot you get your morning sun, while the bigger Sherman Dining Table is placed to appreciate those afternoon rays. 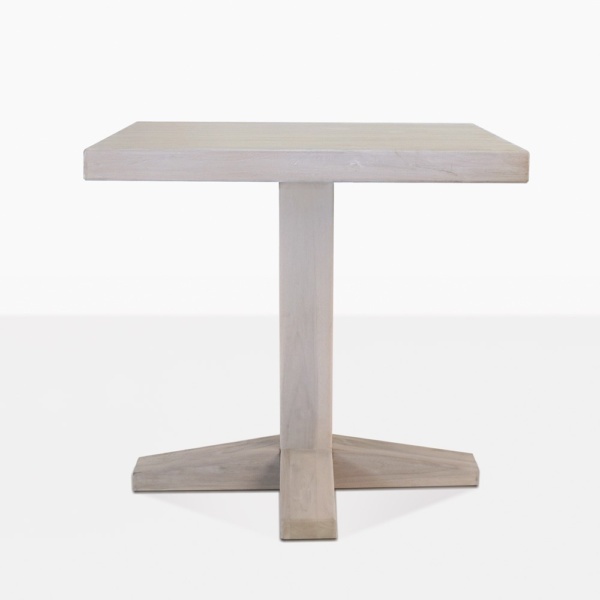 The Sherman Bistro Table is made from none other than teak wood that has been aged into a beautiful soft brown color. This will grey over time. 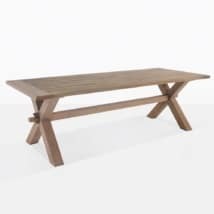 Teak Warehouse is the leader of outdoor furniture, we have everything you need to complement your Sherman Bistro Teak Table, from dining chairs to deep seating. 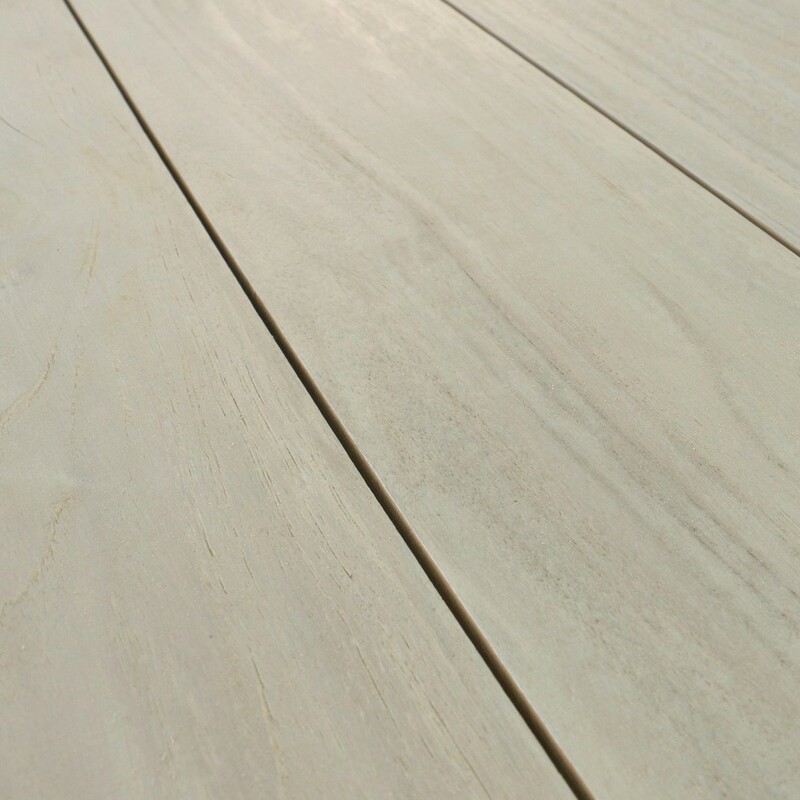 Call us today to order your Sherman and discuss your space!